Offering kneeboards for rent with any waverunner or boat rental. We also offer instruction for those renting or charting a boat or jet ski. A kneeboard is a board ridden in a kneeling position. 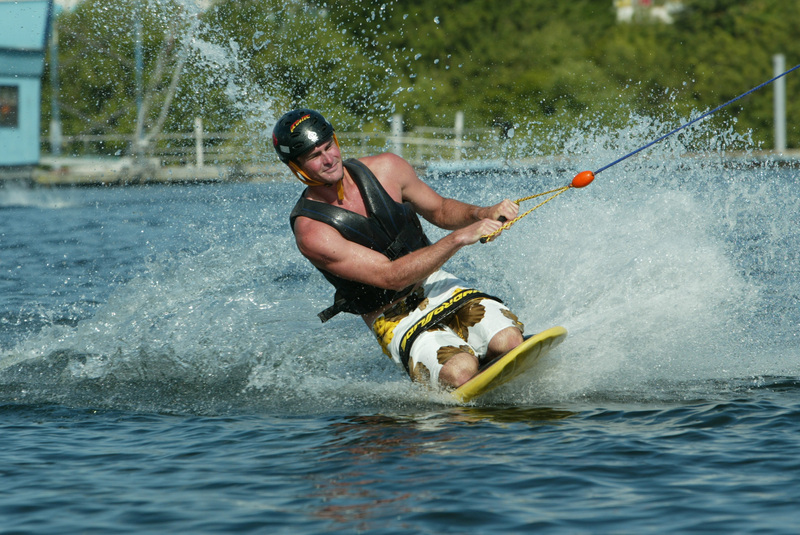 Kneeboards are ridden while being towed behind a boat or personal watercraft on a lake, reservoir, or river. Kneeboard riders generally wear life jackets for safety and in most states are required. Kneeboarding is an offshoot of kneeboard surfing; kneeboard riders compete tricks, and expression session events. Towed kneeboards have a padded deck contoured to the shape of the and knees and a strap holds the rider to the board. We carry several different brands and model of kneeboard rentals, and most of our locations require you to rent a watercraft in order for us to accommodate water toys rentals.